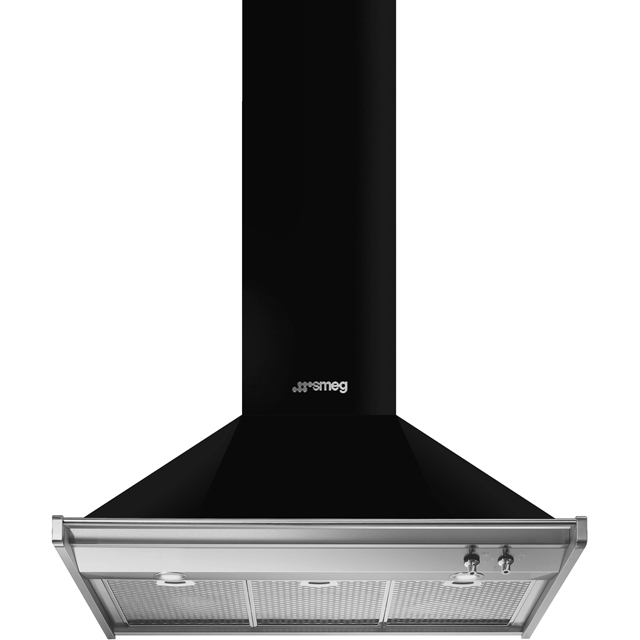 Banish unwanted odours with this black chimney cooker hood from Smeg. It’s ideal if you have a medium-sized kitchen, as it can easily clear 630 cubic metres of air each hour. This model measures 90cm wide too, meaning it’s designed to sit above a large hob or range cooker. Whether you’re preparing an aromatic curry or searing succulent steaks, there’s also a useful boost mode which gives you an extra burst of power that’ll soon leave your room smelling fresh. And, when you need to adjust the settings to suit what you’re making, the rotary dial controls are simple to use as well. 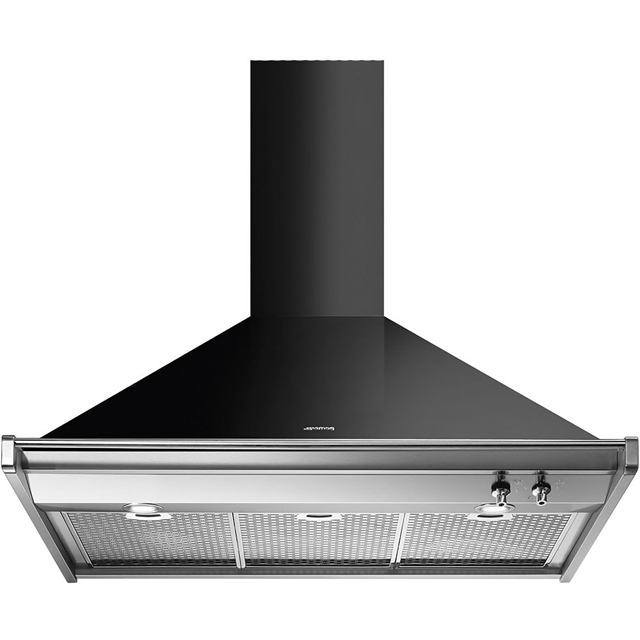 Want to make sure this chimney hood will fit in your kitchen? Check out our handy measurement guide video. We’ll show you everything you need to know about measuring up in just a few simple steps, so your new appliance will fit like a glove.